On Saturday the team woke up to a dull and damp Llanberis. Although it was raining there was no sign of storms…yet! As the day progressed the rain became heavier and the organiser became increasingly worried. There was rumours that the start may be delayed to allow the storms to pass. The athletes could do nothing but wait in their hotel and wait for news from the event centre. The hotel was full of mountain runners from all over the World- Japan, USA, Malta, Italy… and concern over the threat of bad weather was on everyone’s faces. As race time approached and athletes started to head into the village for the 2 o’clock start it was announced that for the first time in the 39 year history of the race the organisers had decided to cut the race short as the risk from potential lightning strikes was too great. 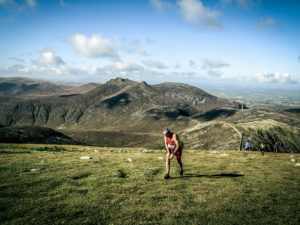 There was some disappointment that the race would not go to the top of Snowdon but overall runners were just glad that a race was still going to take place. The start line was full of the UK’s and Europe’s best mountain runners, including pre-race favourite the 6 times Champion Andi Jones. Amongst this mix of international vests the NI team of Diane Wilson, Catherine O’Connor, Hazel McLaughlin, Allan, Bogle, Gavin Mulholland, Seamus Lynch and Ian Bailey lined up, eager to test themselves against some of the World’s best. 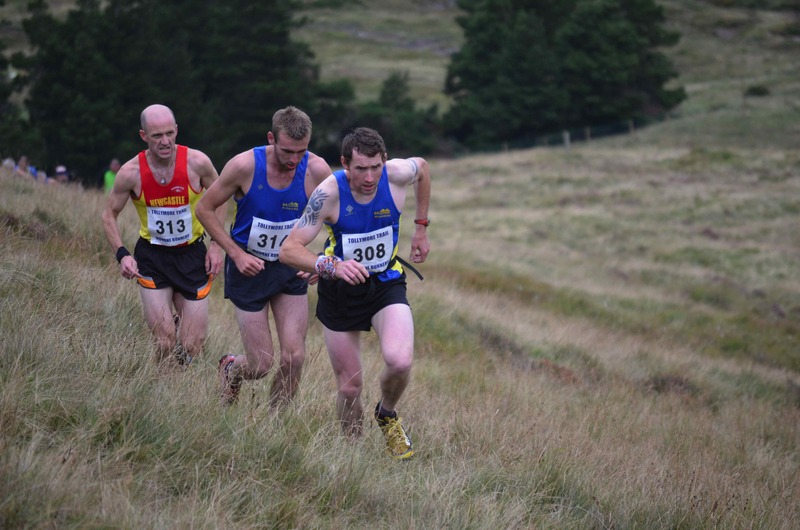 The race started with the usual sprint to get out off the field and on to the 1 mile road that leads to Snowdon. After a fast first mile along a road the runners reached the more familiar terrain of the trail that leads to the top of Wale’s highest peak. The revised race followed the path for 4 miles before turning and heading back down into Llanberis. Andi Jones was the early leader in the men’s race but he was caught by 2 very strong Italian runners at the turning point and was not able to hold onto them on the steep descent. In fact 5 people passed Jones on the descent pushing him into 6th place. The first NI runner home was Allan Bogle in 11th place followed by Ian Bailey (21st), Gavin Mulhollnad (23rd) and Seamus Lynch (26th). In the Women’s race Irish cross country star Sarah McCormack dominated the race beating the next girl, Tessa Hill by 3 minutes. Diane Wilson was first to finish from Northern Ireland in a very strong 11th place closely followed by Catherine O’Connor in 12th and Hazel McLaughlin in 17th. Even though it was not exactly the race everyone wanted the finish field was still fill of very happy runners that enjoyed their time on this iconic mountain and the bars of Llanberis that evening were full of people telling the story of their races and discussing whether they chose the right shoes.